The Presys Onboard Preamp Systems are designed and built to offer maximum control, performance and quality in a small, unobtrusive format. The compact sophisticated Presys system features Volume, Bass, Mid and Treble controls, a Phase switch, and a built-in tuner with LED display. 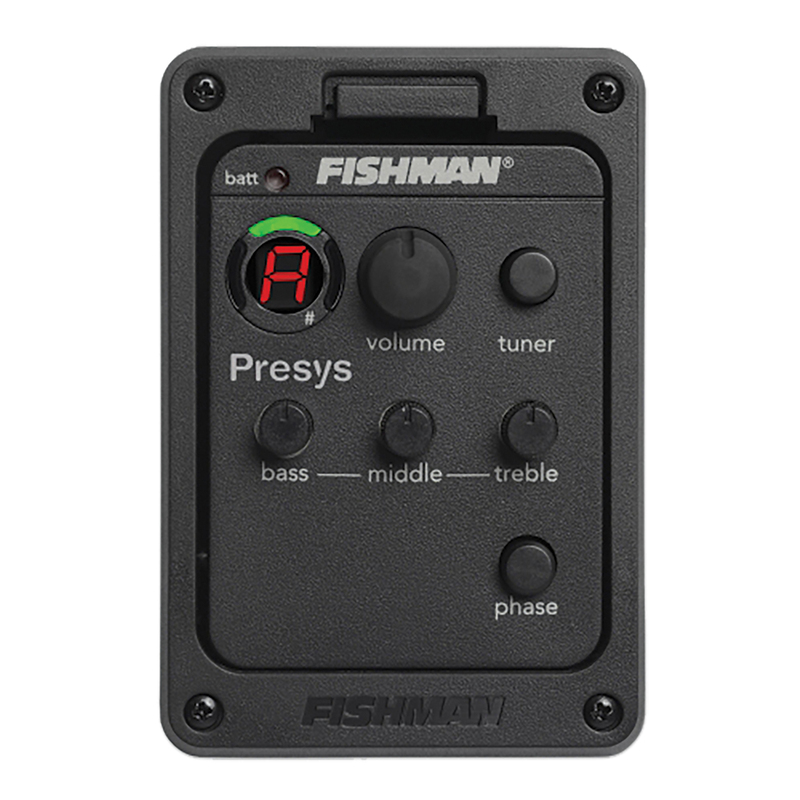 Presys preamps also include a Fishman Sonicore pickup, a low battery indicator, low profile control knobs and a unique pivot design for easy access to the battery compartment. View/Download the Fishman Presys user manual here. Fishman’s Isys Onboard Preamp Systems are dedicated to providing maximum value in a small footprint. The ISYS preamp system feature Volume, Tone shaping, and Phase controls; a pre-wired Fishman Sonicore pickup and low profile control knobs. 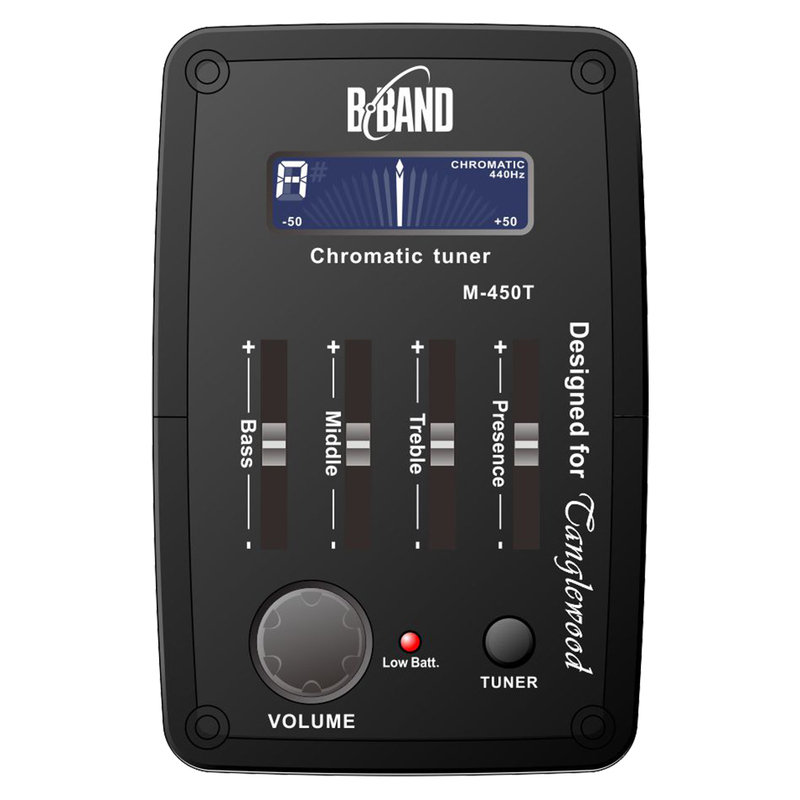 Also included is an onboard easy to read 7-segment LED tuner, a low battery indicator and a separate battery box. 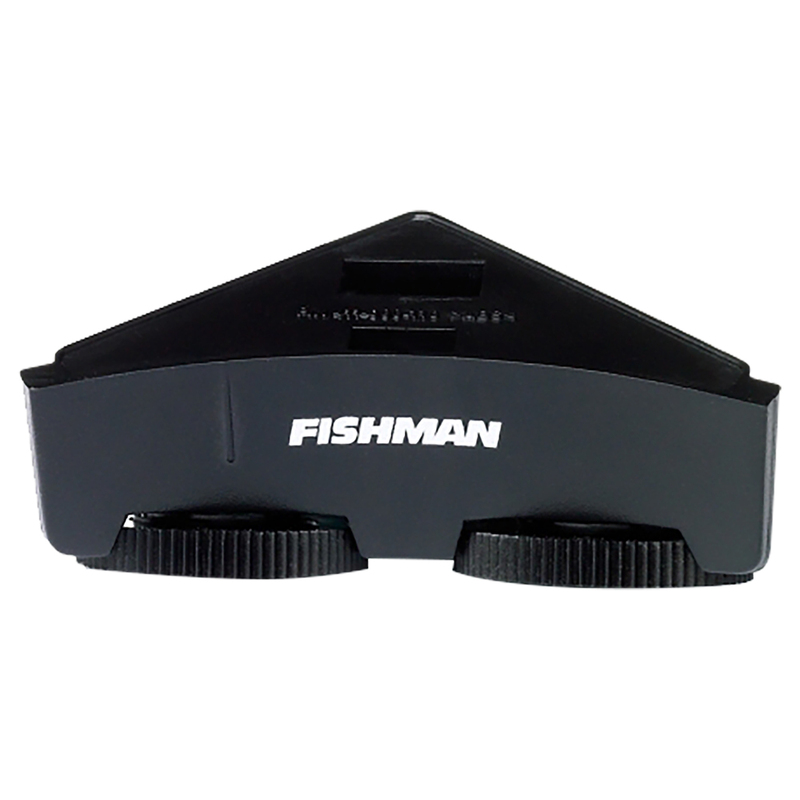 View/Download the Fishman Isys+ user manual here. 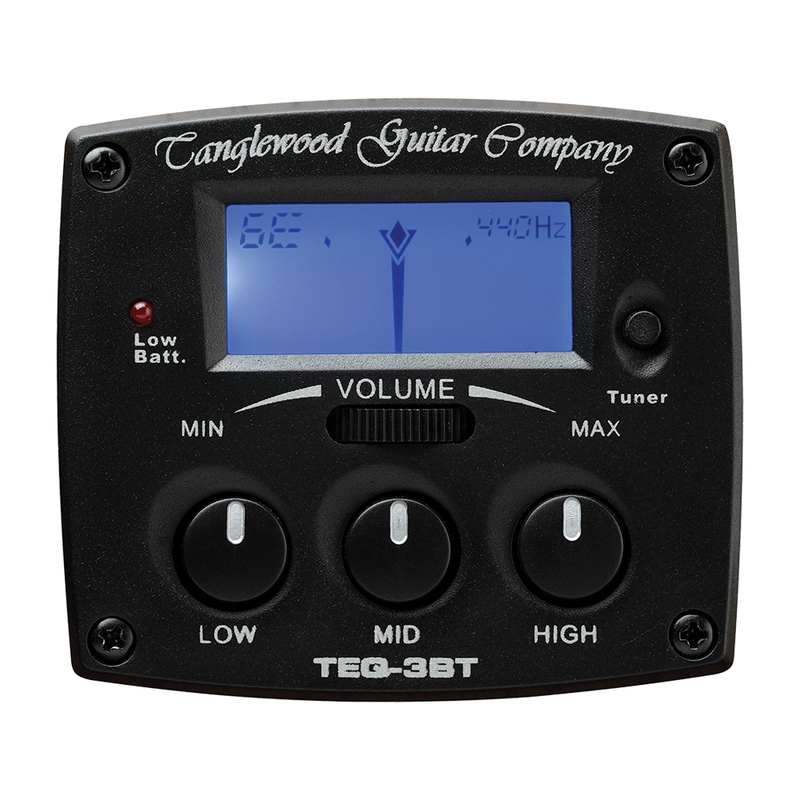 The Tanglewood custom B-Band M-450T pickup and preamp system features a 4-band EQ which includes slider tone controls for bass, mid, treble and presence, along with a seperate volume control knob and the convenience of an onboard digital chromatic tuner. Designed to meet the needs of value-price acoustic, the Fishman Sonitone Onboard Preamp System features a soundhole mounted preamp with rotary controls for Volume and Tone, and a hidden soundhole battery bag. The Fishman Sonicore pickup comes as standard providing a quick, solder-free installation. 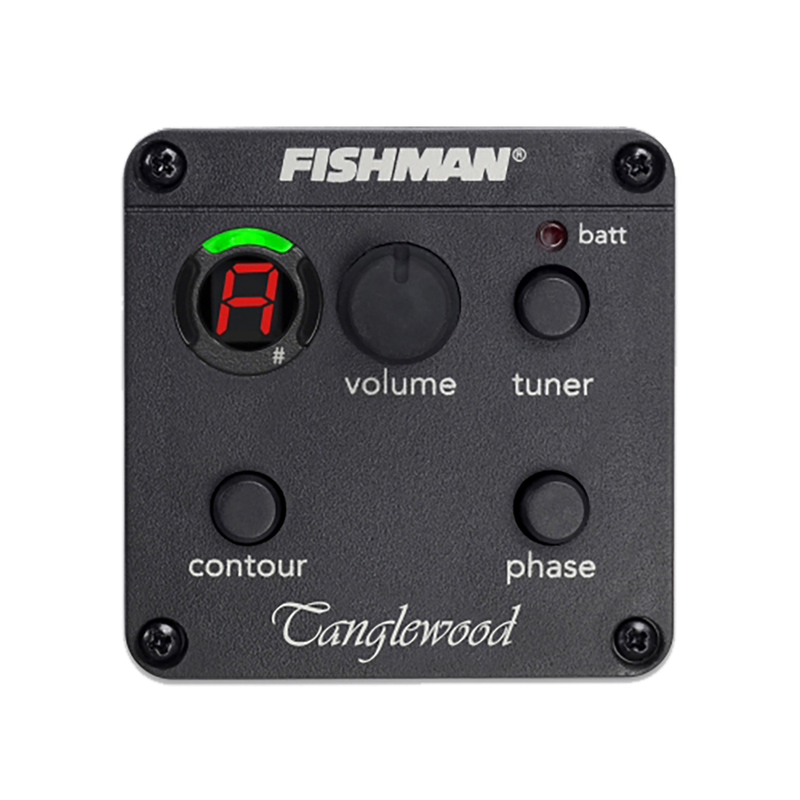 View/Download the Fishman Sonitone user manual here. We have drawn on our years of experience in the acoustic guitar amplification field to create a proprietary EQ system that can be fitted on much lower priced instruments and yet still offer a similar specification of performance to those systems fitted on our most expensive guitars without any compromise to the tonal expectations of the player. Our engineering brief was to design a model with LCD back lit stage tuning, three controllable EQ bands in contemporary recessed housings and the same active power source as found on units fitted to our most premium priced instruments. Newcomers to our Tanglewood family can be certain that we always choose to surprise our players with outstanding value, knowing this will build and maintain brand loyalty. The new TEQ system now follows this philosophy through into the onboard electronics category of our guitars... Trust Tanglewood! 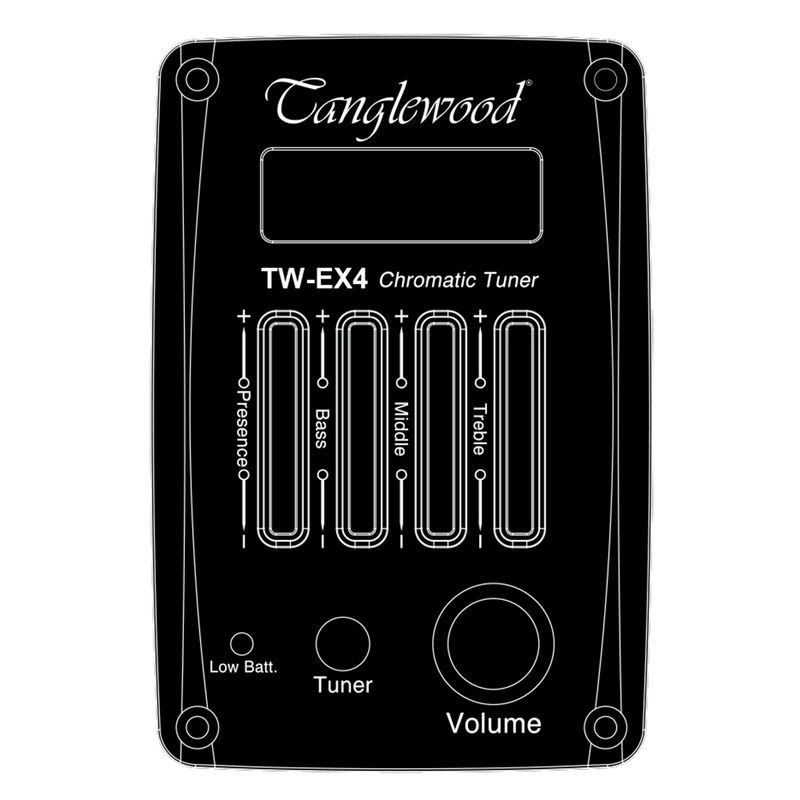 The Tanglewood TW-EX4 pickup and preamp system features a 4-band EQ which includes slider tone controls for bass, mid, treble and presence, along with a seperate volume control knob and the convenience of an onboard digital chromatic tuner.